At Landmark Chrysler Jeep Fiat, we take the fear out of buying a pre-owned vehicle. 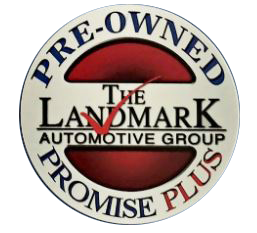 With every pre-owned vehicle we sell, we back it with a 12 month/12,000 Mile Powertrain Warranty on Pre-Owned Vehicles! 145 Point inspection on all pre-owned vehicles. 90 Day Exchange Program. AutoCheck report provided on every vehicle.You will never have to worry about driving off the lot in your pre-owned vehicle and having it fall apart the next day.